I bought a few new girls dress patterns last week. I found them on site I found while searching for german interfacing. German interfacing is a fusible cotton batiste used with heirloom sewing. The website was Farm House Fabrics. They had the german interfacing and lots of patterns. One designer I really liked was Olabelhe. 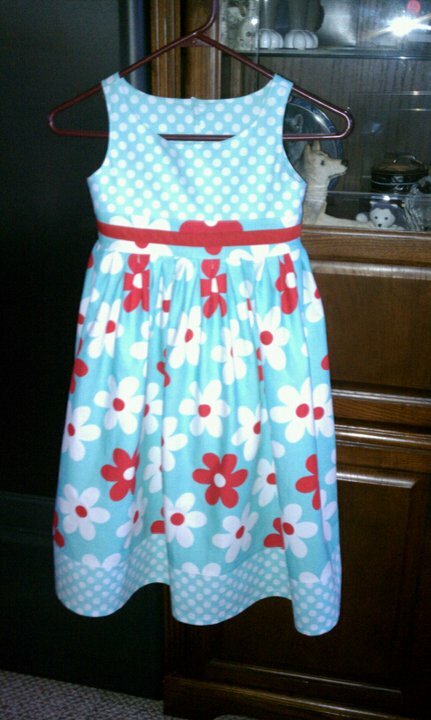 I ordered several of her patterns and I finished the pattern called Lindsey’s dress today. I had enough material left over to make a similar but much smaller one for Ella.